Warner Bros. has told Harry Potter festivals across the country to stop making money off the company's intellectual property. The popularity of the Harry Potter series has led to various festivals celebrating wizardry and the franchise's storylines popping up in different states. In a statement, Warner Bros. said in part, "... we are concerned, and do object, when fan gatherings become a vehicle for unauthorized commercial activity." Last year, director Scott Cramer held the fourth Harry Potter Festival USA in Jefferson. The crowd was estimated at 50,000 people over three days. There were 145 vendors present. Cramer moved the festival to Jefferson after holding it in Edgerton for two years. The festival is scheduled to once again in happen in Jefferson this October. But Cramer said the name will be different. 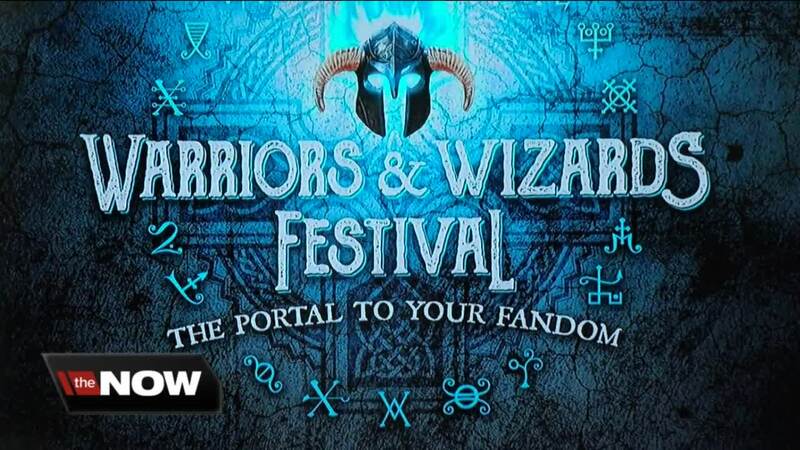 It'll now be known as the "Warriors and Wizards Festival." Cramer said the decision to change the name was made earlier this year after he had a conversation with Warner Bros.
"They said they were going to start shutting down (Harry Potter) festivals, and that it was a heads up," Cramer said. "Specific images, specific names, we're not allowed to use any of that. Warner Bros. owns all of that." He said the festival, under the new name, will refrain from showcasing and making money off of specific characters or storylines from the Harry Potter series. Although Cramer said general people or characters associated with wizarding, like werewolves, can still be used. He said the festival can also still sell officially licensed Harry Potter merchandise - like chocolate frogs. Lori Hertel, the owner of the nearby The Corner restaurants, said she was glad to hear the festival will continue, even if the name is different. She said many festivalgoers walked over to her business last October. "I think a lot of the businesses in the area benefited from it," Hertel said. "I don't think Jefferson's ever had that many people here on a weekend before." Cramer said he's hopeful the festival's strong following will prevent any type of attendance drop off due to the name change. "We're embracing everybody - we're saying come on in," Cramer said. "If the whole wizarding thing is what you're into, there will still be plenty here for those people," Cramer said.